Zircophyllite: Mineral information, data and localities. Named after its chemical composition containing Zirconium and analogy to Astrophyllite (Greek φύλλον (fyllon), 'leaf', alluding to its micaceous habit). The currently accepted formula is K2NaFe2+7Zr2(Si4O12)2O2(OH)4F. Approved by IMA in 1971. 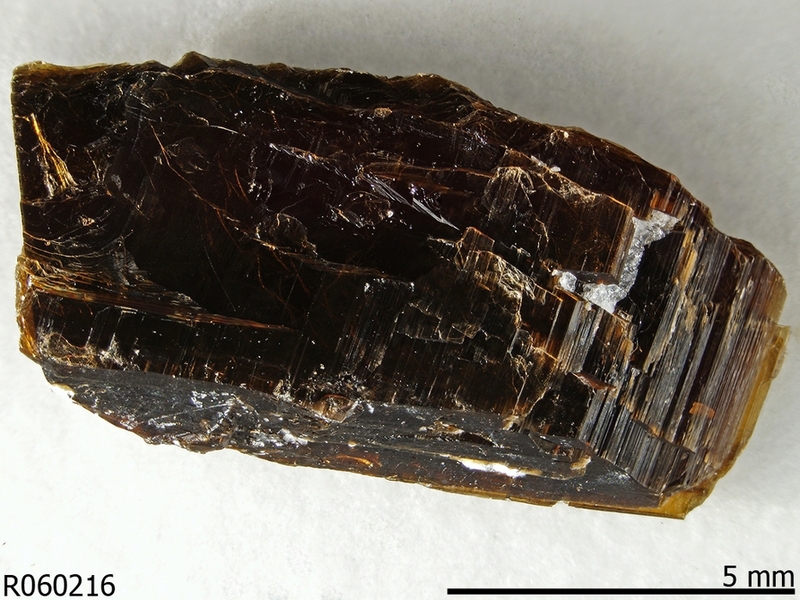 Redefined by IMA 2017 (proposal 17-D) as an astrophyllite-group mineral. American Mineralogist (1973): 58: 967. PIILONEN, P.C., LALONDE, A.E., MCDONALD, A.M., GAULT, R.A. & LARSEN, A.O. (2003a) Insights into astrophyllite group minerals. I, nomenclature, composition and development of standardized general formula. Canadian Mineralogist 41, 1-26. PIILONEN, P.C., MCDONALD, A.M. & LALONDE, A.E. (2003b): Insights into astrophyllite group minerals. II, crystal chemistry. Canadian Mineralogist 41, 27-54. SOKOLOVA, E. & HAWTHORNE, F.C. (2016): The crystal structure of zircophyllite, K2NaFe2+7Zr2(Si4O12)2O2(OH)4F, an astrophyllite-supergroup mineral from Mont Saint-Hilaire, Québec, Canada. Canadian Mineralogist 54, 1539-1547. Sokolova, E. Cámara, F., Hawthorne, F.C. & Ciriotti, M.E. (2018a): Redefinition of zircophyllite, ideally K2NaMn7Zr2(Si4O12)2O2(OH)4F, a kupletskite-group mineral of the astrophyllite supergroup (in accord with IMA 15-B) as an astrophyllite-group mineral, ideally K2NaFe2+7Zr2(Si4O12)2O2(OH)4F (IMA 17-D). Canadian Mineralogist 56, 1-3.